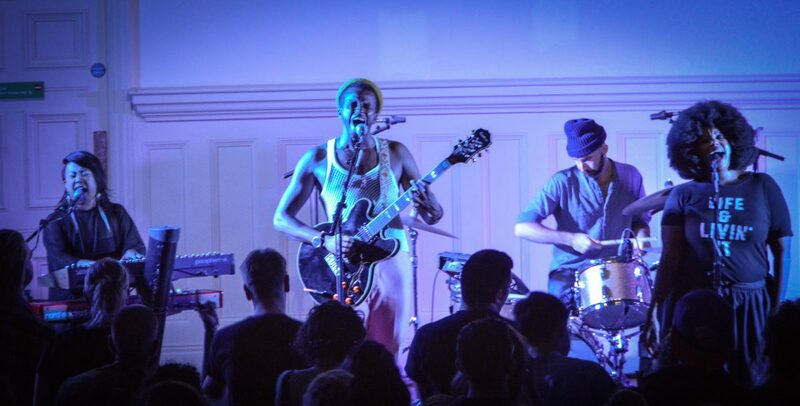 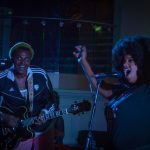 In the latest in the long line of Get It Loud in Libraries gigs, Getintothis’ Sean Bradbury saw Sinkane take things to a level no other band has managed yet. 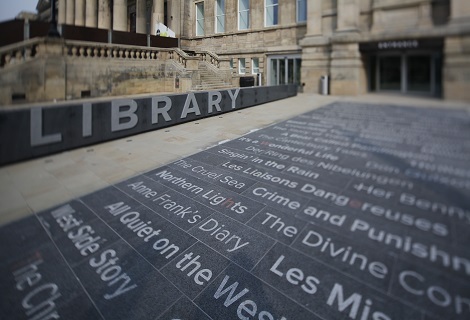 Has Liverpool’s Central Library ever been this loud? 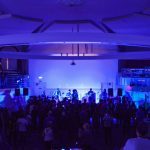 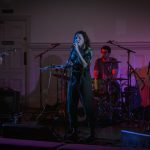 A fair few acts have tried during a highly successful series of performances in the city for the Get It Loud in Libraries initiative – including Josefin Öhrn + The Liberation, LoneLady and She Drew The Gun. 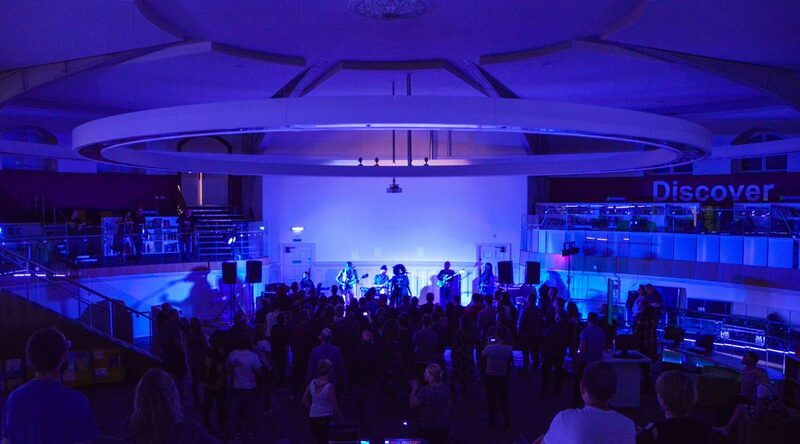 But it’s debatable whether any of them managed to get the shelves shaking like Sinkane on their visit to William Brown Street at the weekend. 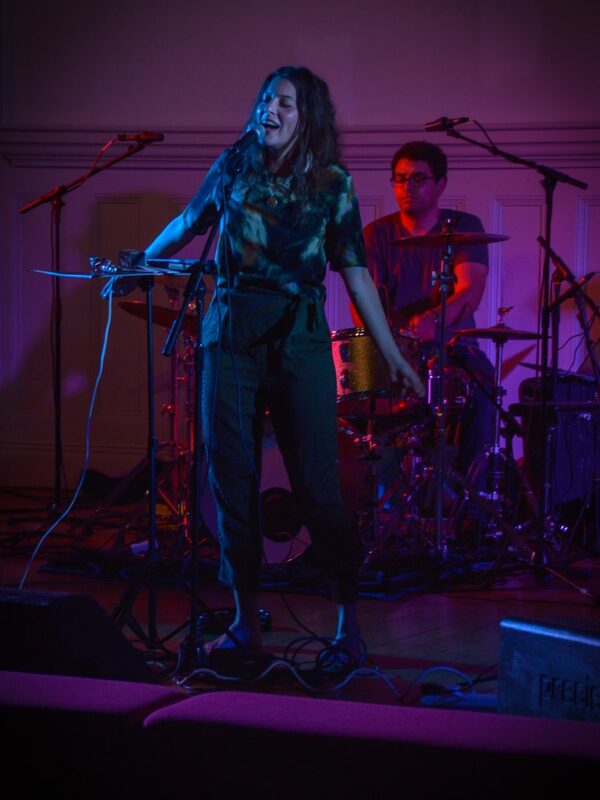 The six-piece got off to a delicately skittish start with New Name, dusted with sparkling layers of guitar and guided by a meandering bass line like a funkier cousin of 2080 by Yeasayer; a group who Sinkane frontman Ahmed Gallab toured and sessioned with for several years. 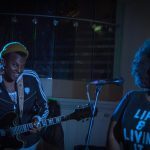 Gallab, with the help of an evolving cast of bandmates, has now put out four full-length albums as part of an eclectic, genre-defying Sinkane catalogue. 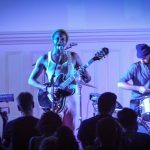 Sunday’s gig showcased his output from breakthrough record Mars and beyond, with most of the hour-long set coming from 2014’s Mean Love and Life & Livin’ It, which was released earlier this year and greeted with a host of glowing reviews. 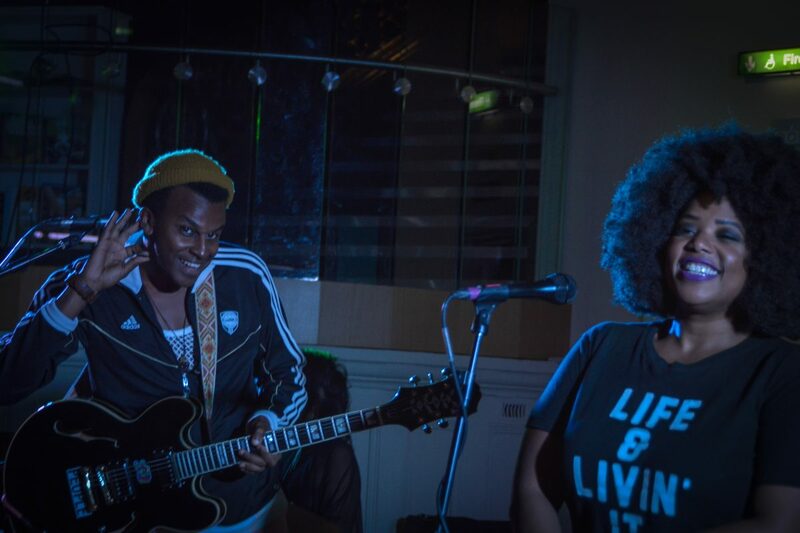 While clearly inspired and led by Gallab, Sinkane are very much a collective and every song was infused with masterful musicianship, affecting lyrical simplicity and a restorative, vibrant, hopeful outlook and message. 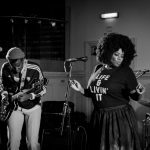 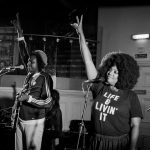 The overall effect was an urgent and joyous combination of Afro-funk, soulful pop, upbeat krautrock and flashes of pretty much everything else they could pack in. 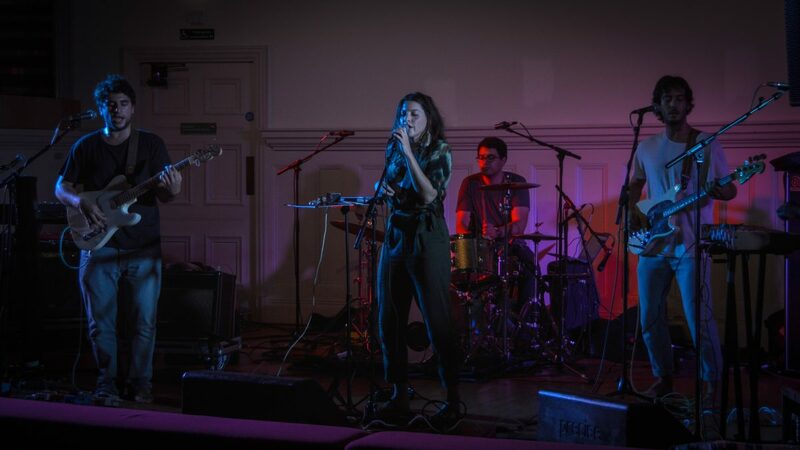 Each member had their turn to come to the fore, literally in the sense of drummer Jason Trammell who swapped his kit for Gallab‘s microphone stand on one number, and stratospherically when it came to guitarist Jonny Lam whose dexterous solos emerged out of nowhere and blasted straight into space rock territory on several occasions. 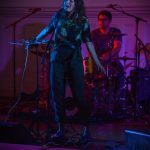 Singer Amanda Khiri, recently recruited to the live line-up along with Elenna Canlas on keyboards, was a vivacious presence and the perfect, potent partner for Gallab‘s more reserved vocals. 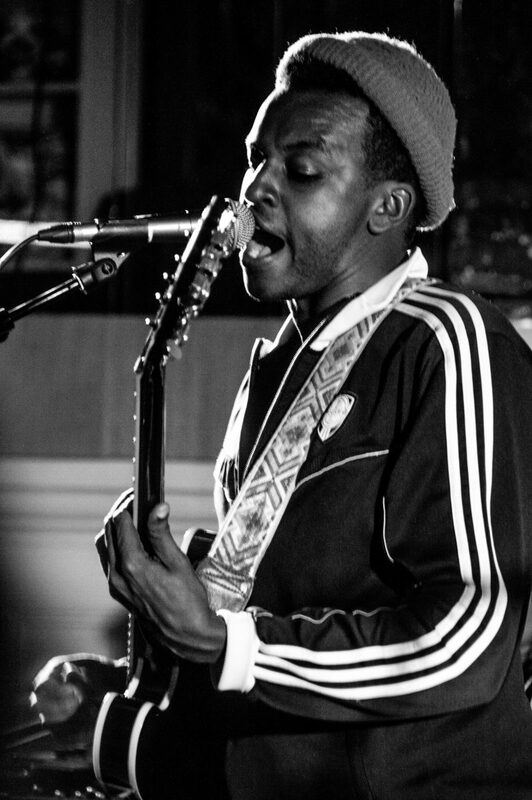 Sinkane have made a lot of noise after playing a handful of festival dates over the summer – and with the radio-friendly warmth and enchantment of Favourite Song, the irresistible snaking groove of U’Huh and set closer How We Be positively popping and crackling with Canlas’ keys, it’s not hard to hear why. 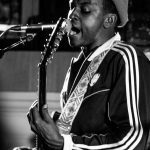 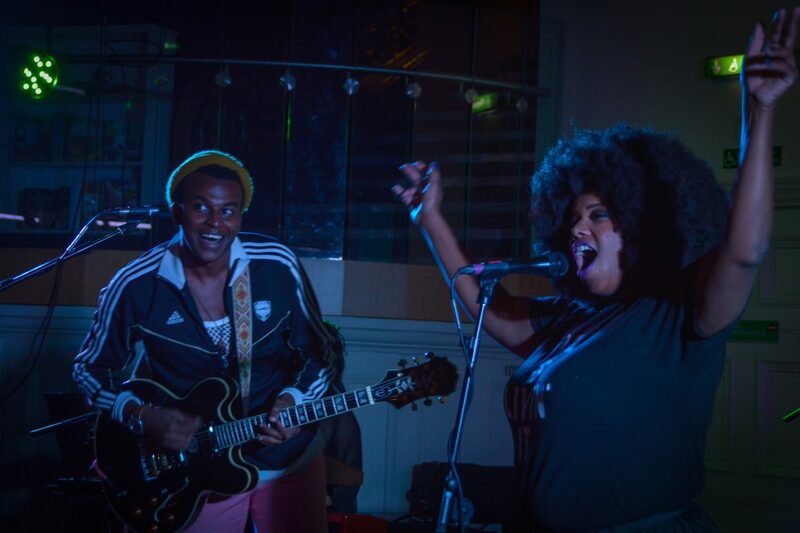 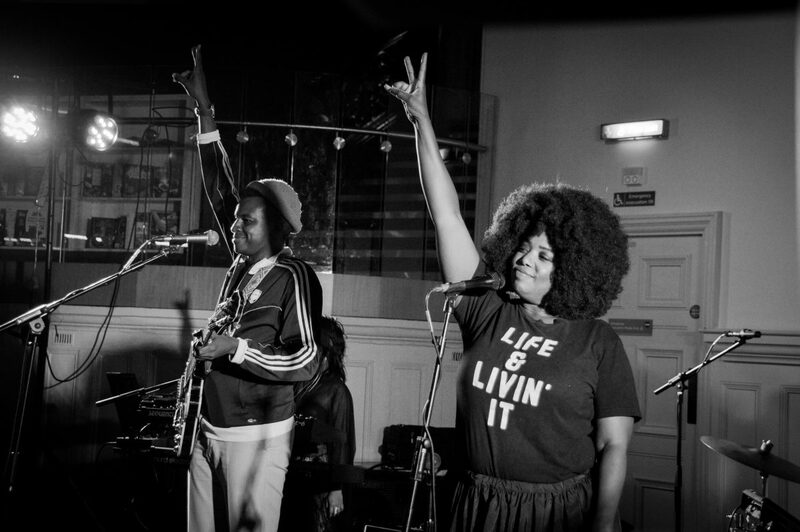 Libraries gave us power; throw Sinkane into the mix and they also gave us a party that will keep everyone who was present dancing and smiling around Liverpool for days to come. 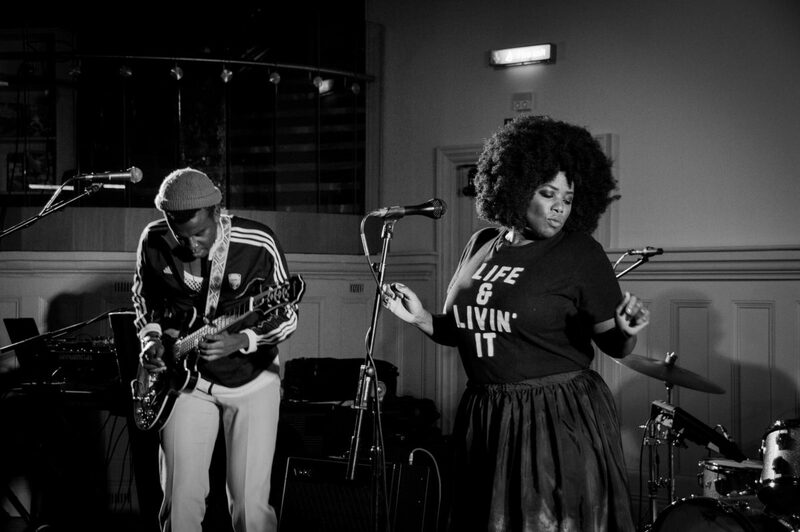 Pictures by Getintothis’ Kevin Barrett.